Written by: Rebecca Miller on July 26, 2016. Tim LaHaye, 90, passed away July 26, 2016. 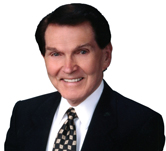 Tim LaHaye, 90, passed away Monday, July 25, 2016 at San Diego area hospital. He had been hospitalized after a stroke several days ago. Best known for his writing, LaHaye is remembered for his best selling Left Behind book series with Jerry B. Jenkins and his Babylon Rising series. The Left Behind books were made into several films with Kirk Cameron in the first series and a less successful big screen adaptation with Nicolas Cage. LaHaye was born in Detroit, Michigan and served in the United States Army Air Forces in the European Theater of Operation in World War Two in a bomber as a machine gunner. After the war, he attended Bob Jones University and then Western Seminary, where he received a Doctor of Ministry. LaHaye served in churches in South Carolina, Michigan, and finally in California. Throughout the years, he was active in founding several conservative think tanks and been active in politically conservative causes. His pre-tribulation blockbuster novels of the Left Behind series, which have spawned tie-in book series, films, and video games will be what he will be most remembered for, but he also authored more than 50 fiction and non-fiction books. The Left Behind books, co-authored with Jerry B. Jenkins, cover the span of time between the rapture of the Church at the beginning of the Tribulation period and through to the end with the defeat of the Antichrist and the saints who survived being brought to Heaven for their reward. Best sellers and having sold over 80 million copies worldwide, these books have left an indelible mark on society. Our hearts go out to LaHaye’s family and friends. We know that he has gone to his reward and blessed hope.